NEW YORK, NY--(Marketwired - Jul 18, 2014) - Lincoln Center's Mostly Mozart Festival, which is celebrating its 48th season, is New York's most acclaimed summer celebration of classical music. This summer, Quin Arts, an exclusive arts and culture program of the newly opened Quin hotel at West 57th Street and Sixth Avenue, will partner as a member of the Lincoln Center Corporate Fund to offer its guests a special opportunity not available to the general public. Guests of the Quin selecting the Mostly Mozart Experience, available during July and August 2014, will receive two tickets to any of four daytime dress rehearsals at Avery Fisher Hall. Ideal for an inspiring long summer weekend or mid-week stay, the experience includes unique insider access offered by the hotel's Attaché. The sought-after full dress rehearsals feature the Mostly Mozart Festival Orchestra conducted by Music Director Louis Langrée on three dates, and an additional date led by guest conductor Osmo Vänskä. The dress rehearsals are scheduled for July 29th and August 8th, 15th and 22nd. Quin Arts honors the rich musical history and artistic heritage of the original 1929 hotel on the site, now fully transformed, which hosted legendary Met Opera stars as residents for decades, including Giuseppe De Luca, Giovanni Martinelli, renowned bass-baritone Paul Schöffler and legendary soprano Renata Tebaldi. The hotel was also home to the composer Ignacy Jan Paderewski for more than a decade. Located in the heart of Manhattan's cultural district diagonally adjacent to Carnegie Hall and just blocks from Lincoln Center, the Quin is New York City's newest luxury lifestyle hotel. An innovative platform, Quin Arts enriches the hotel's creative programming by connecting guests with New York City's thriving cultural landscape. At the heart of this connection is the hotel's Attaché -- a team of dedicated lifestyle curators empowered to offer special insider access to unique events such as the Mostly Mozart Dress Rehearsals. The Attaché is tasked with creating distinctive itineraries for each guest based upon individual needs. Lincoln Center's Mostly Mozart Festival -- America's first indoor summer music festival -- was launched as an experiment in 1966. Called Midsummer Serenades: A Mozart Festival, its first two seasons were devoted exclusively to the music of Mozart. Renamed the Mostly Mozart Festival in 1970, it has become a New York institution and, now in its 48th year, continues to broaden its focus to include works by Mozart's predecessors, contemporaries, and related successors. It is currently the only group in the United States dedicated to the classical period. In addition to concerts by the Mostly Mozart Festival Orchestra, Mostly Mozart now includes concerts by visiting period-instrument ensembles, chamber orchestras and ensembles, and acclaimed soloists, as well as staged music presentations, opera productions, dance, film, and visual art. 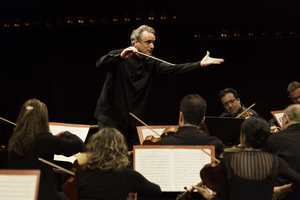 The Mostly Mozart Festival Orchestra is the resident orchestra of the Mostly Mozart Festival. Over the years, the Orchestra has toured to such notable festivals and venues as Ravinia, Great Woods, Tanglewood, Bunkamura in Tokyo, and the Kennedy Center. Conductors who made their New York debuts leading the Mostly Mozart Festival Orchestra include Yannick Nézet-Séguin, Charles Dutoit, Leonard Slatkin, David Zinman, and Edo de Waart. Soloists including Joshua Bell, Itzhak Perlman, Pinchas Zukerman, Alicia de Larrocha, Richard Stoltzman, Emanuel Ax, and Garrick Ohlsson have had long associations with the Festival. Mezzo-soprano Cecilia Bartoli, flutist James Galway, soprano Elly Ameling, and pianist Mitsuko Uchida all made their U.S. debuts at the Mostly Mozart Festival. Lincoln Center for the Performing Arts (LCPA) serves three primary roles: presenter of artistic programming, national leader in arts and education and community relations, and manager of the Lincoln Center campus. A presenter of more than 3,000 free and ticketed events, performances, tours, and educational activities annually, LCPA offers 15 series, festivals, and programs including American Songbook, Avery Fisher Artist Program, Great Performers, Lincoln Center Festival, Lincoln Center Out of Doors, Midsummer Night Swing, Martin E. Segal Awards, Meet the Artist, Mostly Mozart Festival, Target Free Thursdays, and the White Light Festival, as well as the Emmy Award-winning Live From Lincoln Center, which airs nationally on PBS. As manager of the Lincoln Center campus, LCPA provides support and services for the Lincoln Center complex and its 11 resident organizations, which include the Chamber Music Society of Lincoln Center, The Film Society of Lincoln Center, Jazz at Lincoln Center, The Juilliard School, Lincoln Center Theater, The Metropolitan Opera, New York City Ballet, New York Philharmonic, The New York Public Library for the Performing Arts, the School of American Ballet and Lincoln Center for the Performing Arts. Lincoln Center is committed to providing and improving accessibility for people with disabilities. For information, call the Department of Programs and Services for People with Disabilities at (212) 875-5375.